That list is pretty long, but if you take a look at it, these are 12 very basic requirements. The length of the list is simply a scope of the malign behavior of Iran. We didn’t create the list, they did. 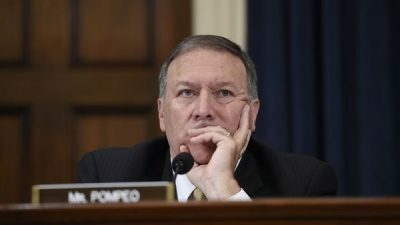 Pompeo again lies: The U.S. regime’s malign behavior is clear; and Iran didn’t create this list — Trump’s appointee Mike Pompeo, did.